As the future of NAFTA remains in flux, Gov. 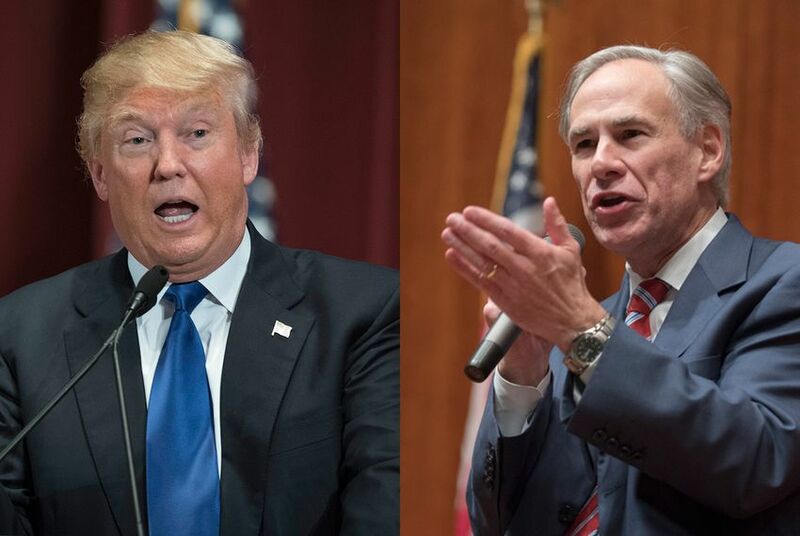 Greg Abbott on Wednesday asked the country's top trade representative to retain two long-standing provisions of the trade pact that have boosted the Texas economy. With the North American Free Trade Agreement again in President Donald Trump’s crosshairs, Gov. Greg Abbott on Wednesday urged the country’s top trade representative to safeguard two provisions of the pact in particular that the governor said greatly benefit Texas’ businesses and consumers. Trump threatened earlier this week to dismantle NAFTA — which he derided as Mexico’s “cash cow” — if that country didn’t do a better job of policing its border with Central America. The president has said for years that NAFTA is a bad deal for Americans, but negotiations on changing the landmark trade pact between Mexico, the U.S. and Canada have continued for more than a year without a final compromise. Abbott’s request to U.S. Trade Representative Robert Lighthizer is the latest in an effort to highlight how much Texas and other border states have benefitted from the 1994 pact. Since Trump took office, several business groups have grappled with how to convince the White House that NAFTA isn’t just a good deal for border states but for the country as a whole. Several Republican leaders who were initially in favor of keeping the status quo have since conceded that the decades-old initiative could undergo some modernization. But they have stopped short of embracing all of the ideas the administration has put forth. In the letter to Lighthizer, Abbott said that as those negotiations continue, negotiators should protect a NAFTA provision that governs how disputes between private investors and member countries are handled. The Investor-State Dispute Settlement, or ISDS, allows investors to seek monetary relief for alleged violations of the trade pact’s policies. The protections are especially important, Abbott noted, as Mexico continues to explore and allow private foreign investments into its energy sector, which was state-owned for more than seven decades. The future of the ISDS mechanism has proved to be one of the largest hurdles in the ongoing negotiations after the Trump administration flirted with the idea of opting out of it, Politico reported in February. That’s because some administration officials saw it as a way to incentivize foreign investment, which goes contrary to Trump’s “America First” mantra, Forbes reported late last year. Abbott also stressed in his letter to Lighthizer the importance of NAFTA’s Rules of Origin provision. That stipulation outlines the percentage of domestic parts that must be included in one complete product in order for it to qualify for NAFTA’s tariff exemption. Abbott said raising the content requirement for NAFTA countries could adversely affect the benefits of trade because of the amount of products that include components from other countries. He specifically highlighted the auto and petroleum industries, both of which are a boon to the state’s economy. Texas is Mexico’s largest trading partner and the ports of Laredo and El Paso are two of the busiest in the nation, due in large part to NAFTA. According to WorldCity, a Florida-based company that tracks trade data, Texas is home to six of the top 10 busiest trade stations that do business with Mexico. "Since NAFTA took effect, Texas exports to Mexico have increased by 13 percent annually," Abbott wrote in his letter. "This organic growth in exports stems from the stability inherent in a long-term trade agreement ... Today, Texas’ unemployment rate is at an all-time low, thanks in large part to more than 1 million Texas jobs that depend on NAFTA."